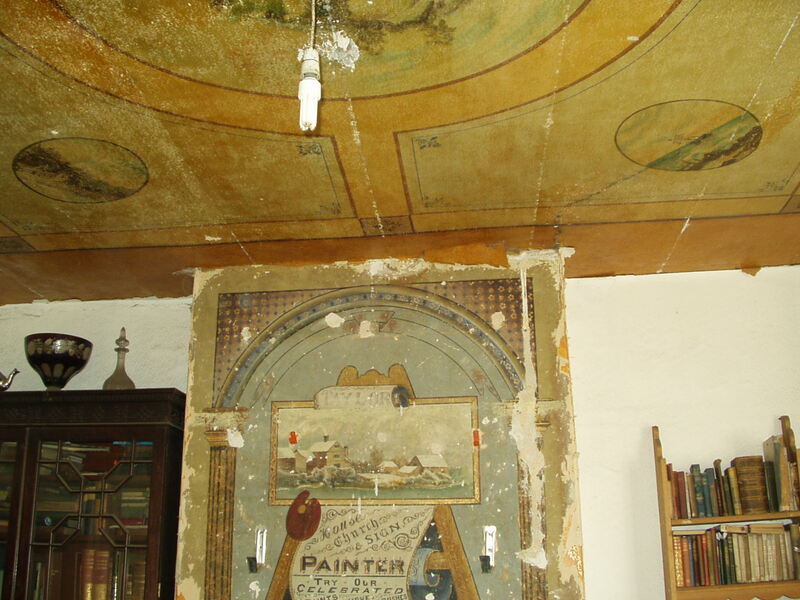 Chimney breast mural and painted plaster ceiling, possibly dating to c. 1870. This unusual find is in the front room of Louisa’s house. Anyone with any information about the artist, Mr Taylor, is invited to get in touch. Viewings may be arranged for interested parties.